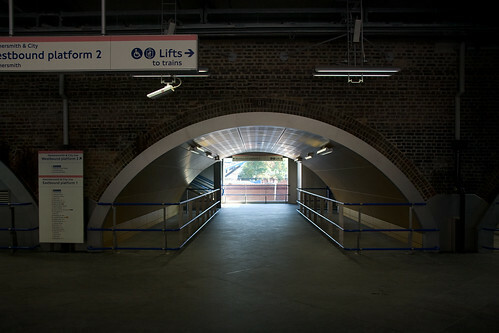 Continuing with the brand spanking new stations in West London, many of you probably know that Wood Lane London Underground station opened on the 12th October. 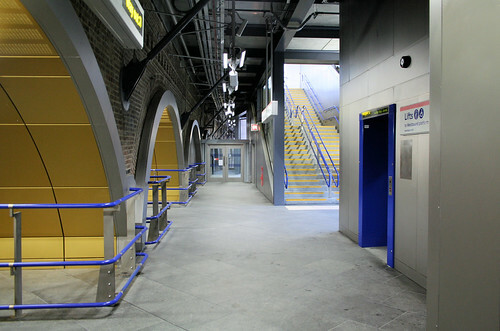 The new station on the Hammersmith & City Line is supporting the new Westfield shopping development and is the first station to be built on an existing section of the Tube for over 70 years. The last one was Elm Park Tube station on the District line in 1935. TfL predict around 6,665 people will use the new station between noon and 3pm on Saturdays, once the nearby Westfield shopping centre opens. 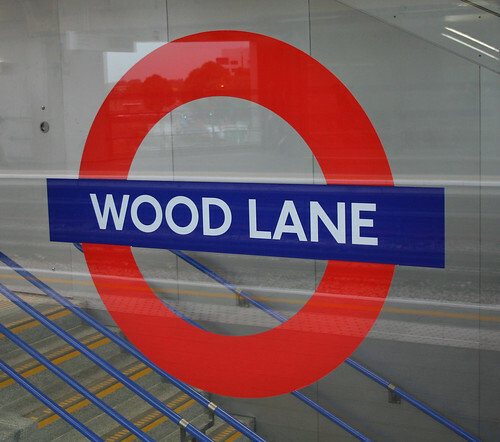 The thing I really like about Wood Lane, is that rather than go completely all 21st century with steel & glass like the new Shepherd's Bush Tube, architecture from the original station has been used. 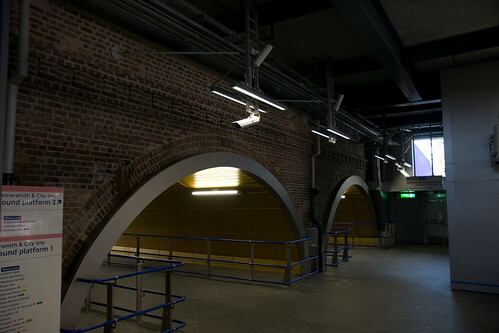 Bowroaduk and Tompagenet took some great pictures when the station first opened. This certainly gives the impression that old & new can get along together quite well and we don't have to wipe out all traces of the Tube's heritage for the sake of progress & modernisation.